Have you heard that song? If you ever attended Sunday School or Vacation Bible School, you have sung that song. Joy radiates when that song is sung. Sing that song right now; does joy spring forth? Do you truly believe the words that you’re singing? So how do we persist in keeping our thoughts on Christ? We pray without ceasing (1 Thessalonians 5:17), communing with Jesus all day long and worshipping Him whenever we can. We put our trust in God, knowing that what He ordains is much better than what we think we can maintain. And no matter how much pain is inflicted upon us, we keep our faith in Jesus Christ who sustains us. Thank you, Heavenly Father! Hear the Word of the Lord and be filled with joy! I read a devotional this morning written by Michael Youssef (for information on him, go to myjournal@leadingtheway.org). He talked about three words, using Psalm 27. Those words are: worship (verses 1-3), walk (verse 8), and wait (verses 13-14). If we literally engage in those words with our Savior, He will supply all our needs. Then there will only be room in our souls for joy. And if we truly ascribe to the acronym for JOY (below), God will daily strengthen us! Are you singing yet? Do you have joy down in your heart? Turn your eyes upon Jesus and the joy you receive will give you strength. Are you abiding in the Lord? Does He abide in you? To answer those questions, we need to totally understand the word abide. To abide in the Lord means we are in compliance with Him, obeying and following His commands. The opposite would be to disobey. If Jesus abides within you, He and His commands remain. He stays with you; His life continues to bless others through you. Below is my experience from an “abiding” moment. I have been struggling with a nasty sinus infection and ear infections for about a month. My right ear has been so blocked that it feels as if I’m underwater; sounds are very muted. It’s quite creepy when I sleep on my left ear because I become almost deaf. Nightime has been extremely hard as I usually wake up around 2:00 AM and almost go into a panic. My thoughts race to the “what ifs” and I freak out. That’s what I did this past Tuesday night and my husband said, “Debbie, why don’t you practice what you preach?” That piece of humble pie almost choked me! So I went downstairs, turned on the light, and practiced. I began reading Psalm 4. Wow, did I need to HEAR that. Thank you, Jesus! Spiritually I felt better, but physically I still felt bad, so I went online and requested a substitute for work, grew sleepy, and fell asleep in my chair. My husband woke me up at 6:30 AM. Generally I begin my devotions first thing in the morning, but I turned on the TV and began watching a movie. Within half an hour, the cable went out. I knew what was happening and I said, “OK, God, I understand. 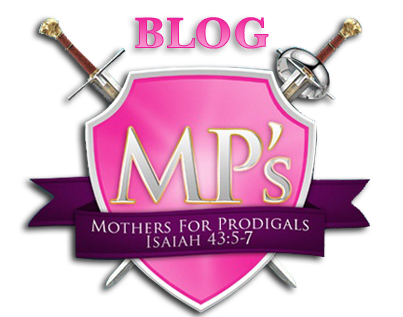 I need to open my Bible.” My devotions for that day were from Philippians 4:4-7 (NKJV). 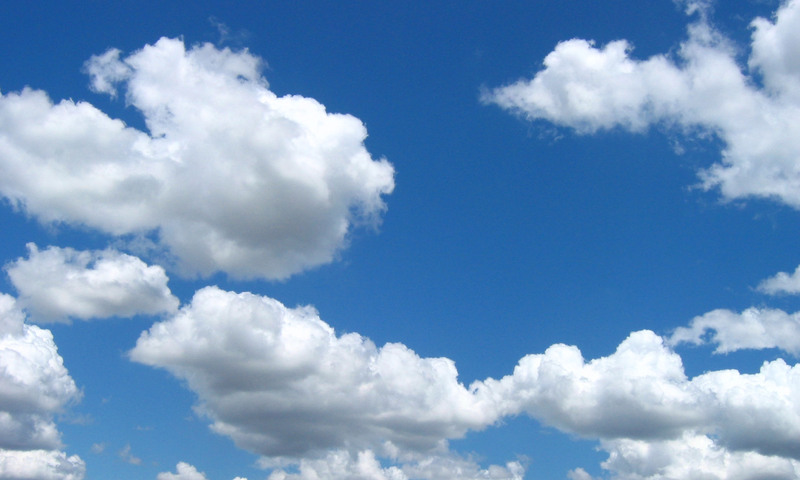 “OK, I get it, God,” I said with a smile and pursued more of the Word. I opened to John 14-16, reading the words that Jesus shared with His disciples the night that He was betrayed. Chapter 15 is about the Vinedresser and I wanted to see what Jesus had to say before and after the teaching on the vineyard. I discovered some wonderful truths from our Lord and Savior. He reassured me again of His abiding love. Look at the first passage I read in these chapters: “Let not your heart be troubled; you believe in God, believe also in Me. John 14:1 (NKJV) God’s assurance to my doubting heart overwhelmed me! He loves me so much that He repeated Himself in various ways. It reminded me of Peter’s experience with Jesus after His resurrection. In John 21:15-17, the resurrected Jesus is speaking to Simon Peter. He’s asking Peter, “Simon, son of John, do you love Me more than these?” And Simon answers, “Yes, Lord; You know that I love you.” But Jesus asked him a second and third time. Why? Because Peter had denied Him three times and three times Jesus reconciled with Peter the importance of loving Him and tending His sheep. Have you denied Christ with your doubt and worry? If you have, it’s like saying you don’t believe in His power to fulfill His Word. Do you truly love Him? How many times has He spoken to you about the truth of His promises? God spoke to me four different times Wednesday morning, but He said the same thing. “Debbie, stop worrying. Focus on Me and nothing else. I’m taking care of you as I always have. Trust Me and believe in Me.” I realized the depths of God’s love and dove deeper into His Word. Oh, how He blessed me that morning as I abided in His love. I pray His words will bless you with sweet abiding moments of truth. Jesus, knowing that He would be leaving them very soon, encouraged His disciples with the words written in John 14-16. Throughout those chapters, He repeated Himself in various ways. He wanted to make sure that His disciples understood His love for them. Written below are Jesus’ words that He shared with His disciples. How they soothed my own worrying heart! Worry is a constant temptation in this world and Jesus tells us not to do it! He asked His disciples and us, “And who of you by being worried can add a single hour to his life?” Matthew 6:27 (NASB) Worry is disobedient to the Word and when we disobey, we fall into temptation and sin. Jesus gave us a prayer where we can pray, “And do not lead us into temptation, But deliver us from the evil one.” Matthew 6:13 (NKJV) Pray it with faith! We who believe in Christ know Him, the Spirit of Truth, and He abides in us. John 14:17 When we doubt and worry, we are saying we don’t trust our faithful God. We become disobedient and sin against our God who loves us. Father, forgive us! Praise God and AMEN! It all comes back to love; God’s abiding love, Christ’s love for us and our love for Him! Don’t disobey Him with your weaknesses; love Him enough to obey His commands with joy! The flowering limbs of a crepe myrtle beautifully drape our Southern landscape in spring. Shades of pink and red, white, and purple adorn these trees and beautify the earth. Their beauty is stunning in certain seasons, but have you ever noticed crepe myrtles in the winter time, the ones that have been taken care of properly? 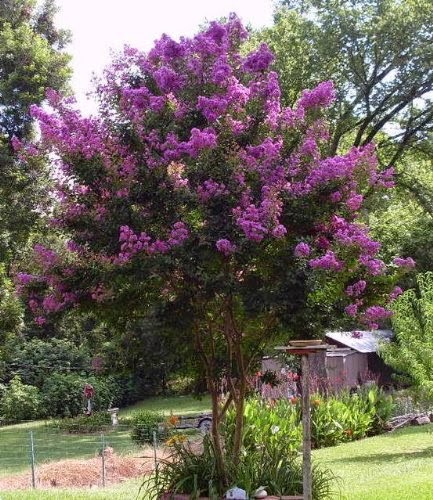 A crepe myrtle that has been properly pruned doesn’t “catch our eye.” It looks like a stump with blunt forked limbs growing up in the shape of a Y; it doesn’t grab our attention. But wow, when spring rolls around, the tree blossoms and bears the fruit of spectacular flowers. It’s a beauty for all eyes to behold! Isaiah prophesied about a man whose appearance had no majesty that would attract people to him. He was despised by men. He was pierced through and crushed for our sins; he received our punishment, yet we are healed by his stripes. We can receive a fruitful life because of his dying. Read about what Jesus did for you in Isaiah 53; it’s a chapter about The Suffering Servant, Jesus Christ. If we believe in this Suffering Servant, accepting His forgiveness of sins and receiving His righteousness, we are called to the same kind of life that He led. We may not have to go through a physical crucifixion, but we are to die to ourselves and our own wishes every day. And that is not easy to do. So if we are called to a life of sacrifice, how do we succeed in dying to ourselves? Jesus answers that question by telling us how we are to live in Matthew 6:25-34. We are to seek God’s kingdom first. We’re not to worry about ourselves; we are to be concerned only with the righteousness of God. If we make Him our priority, He will take care of everything else in our lives. He wants our lives to blossom with the fruit of righteousness so that others can behold His beauty. At times we may have to be like the winter crepe myrtle, bluntly pruned. If we allow God to strip away everything in our lives that interferes with the work of Christ, then eventually our experience of sacrifice will flourish in the lives around us. Consider Paul who endured all sorts of persecution because he was a “sold out” follower of Christ. Once he became a believer, he sought after God’s righteousness with gusto. He ministered to individuals and churches. He kept his branch attached to Jesus, allowing God to prune his life so that only Christ was seen in his life. It must have been difficult, yet he still sought the kingdom of God first. Now consider all the fruit that Paul’s life bore many years ago and stills bears today. We can read his story in the Bible and be encouraged to stand with him, seeking God’s kingdom first. If we stay attached to the Vine (Christ Jesus), even if the Vinedresser needs to prune away our excesses, our right to ourselves, our worries, and our desires, His energy will abundantly flow through us causing us to flourish with His fruit of righteousness. Then other eyes will behold our beauty, people will be drawn to Christ, and God will receive the glory and majesty that He is due. Praise God! Sacrifice your life to God today, permitting Him to prune away your lifeless branches. Stay attached to the branch of Christ and, in the right season, you will be abundantly blessed with fruit that will bless others. Begin now with a thanksgiving of praise from Psalm 66. Thank you, God, for sending us your Son, Jesus Christ, to die for us and save us from ourselves. Help us to seek You first, knowing that we thrive because of You. Thank you in advance for the abundance that You will produce with our lives. To You be the glory! 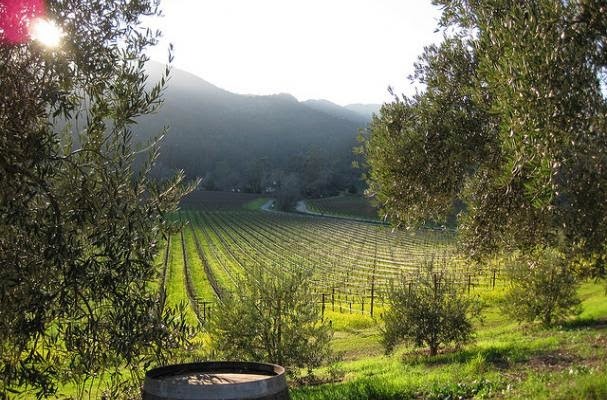 Napa Valley in northern California is one of the most beautiful places on earth. Hillsides filled with rows of grapes are scattered throughout small towns such as Yountville, Oakville, Rutherford, and St. Helena. Various wineries situated on either side of the main road occupy each town and inside each winery resides a vinedresser. A vinedresser or grower of grapes cultivates and prunes grapevines. As I learned from Bruce Wilkinson’s Secrets of The Vine, the life of a grower includes long hours of walking through the vineyards and tending to the branches that bear the grapes. The vinedresser watches over the vineyard, protecting and guarding it from the elements. He patiently waits for the perfect day of fruitful harvest. He cherishes his vineyard and prides himself on a good crop. He gains respect when his harvest produces a fabulous glass of wine. Sound familiar? Yes, God is the Vinedresser who loves and cherishes His people, a vineyard made up of many branches. He sent His son, Jesus, who is the Vine on which we grow. He desires a harvest of good fruit from His vineyard so that the Name above all names, Jesus Christ, is glorified among men. He lovingly and tenderly attends to His vineyard, keeping an eye on the elements that surround them. Read John 15 slowly and aloud, reflecting on our Vinedresser and His longing for the production of good fruit in our lives. Jesus spoke these words to His disciples on that long ago Passover night that would change the world. He knew He was leaving the earth to return to His Heavenly Father, so He intended to encourage His followers with a teaching about bearing good fruit. After addressing who the Vine and Vinedresser is, He begins explaining the life of the branches that live in Him. Those branches are sinners who have been saved by believing in the Savior of the world, Jesus. Why then in verse 2 does He say the branch in Him that doesn’t bear fruit, He takes away? Jesus takes away our sins by the blood poured out on the cross. The blood cleanses the sins of generations of believers in the past, present, and future. We are cleaned up the moment we believe in the Word, Jesus Christ. Read the words of God in the following passages. He is the Lamb who cleans up the sins of the world! The question we should ask ourselves once we’re cleaned is: are we bearing fruit and if not, what does Christ do to help us bear fruit? The answer lies in the life of the grape grower. As he walks among his vineyards, the vinedresser may find new branches that have begun trailing along the ground. They can’t bear fruit if they’re growing along the ground. If the air is dry, the leaves will become very dusty. If it rains, they will be covered in mud. If either of these things happen, the branches are useless and fruitless. Does the grape grower then just cut off the branches and throw them away? No, he gently lifts them up and washes them off with a bucket of water. Then he either ties them up or wraps them around a trellis. Soon they are growing and flourishing, producing a fruitful crop. The grape grower is a great illustration of how our Heavenly Father, the Vinedresser, lifts up and cleans off believers in Christ when they’ve muddied themselves with sin. He cleans us by the blood of the Lamb as He ties us to the cross of Christ. Then as we abide in the Word (Jesus) of God, we flourish and bear fruit which glorifies God. Know that you have a Vinedresser who watches over you, tending to you daily. He loves you dearly. If you are attached to His Vine, Jesus Christ, He will attend to your needs, cleaning you up when necessary. He desires fruit from your life. He’s blessed you with the life you live; now glorify Him with it. Let’s raise our “glasses of fine wine” to our Savior, Jesus Christ, giving Him the honor that is due to His Name.